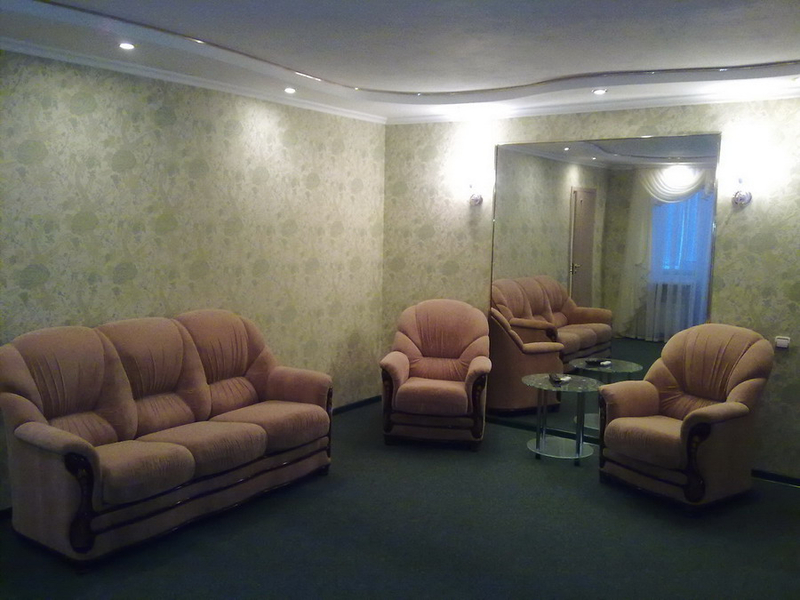 A recently renovated apartment fully furnished with all new appliances in the center of Lugansk city. 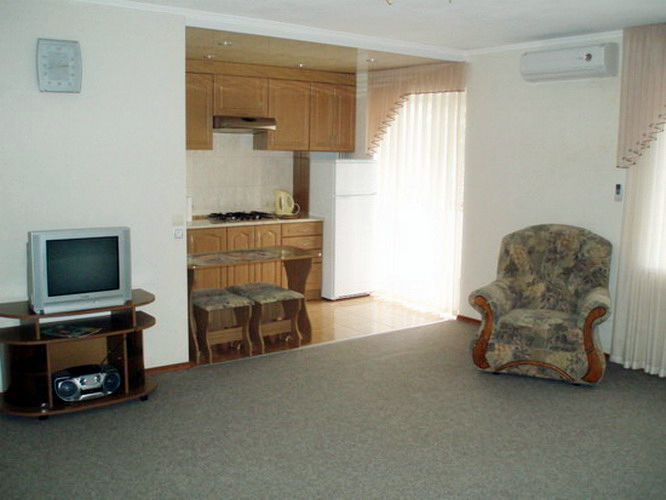 The apartment includes: WiFi internet, livingroom with a fold-out sofa, 2 bedrooms with double beds, equipped kitchen with microwave oven, gas stove, refrigerator and electric kettle. Entertainment center with satellite tv, cd player and music center. This apartment has many conviences: air conditioning, heated floor, ironing facilities, washing machine, hairdryer, sound proof windows, and telephone, a big balcony, 2 safety doors with secure locks. 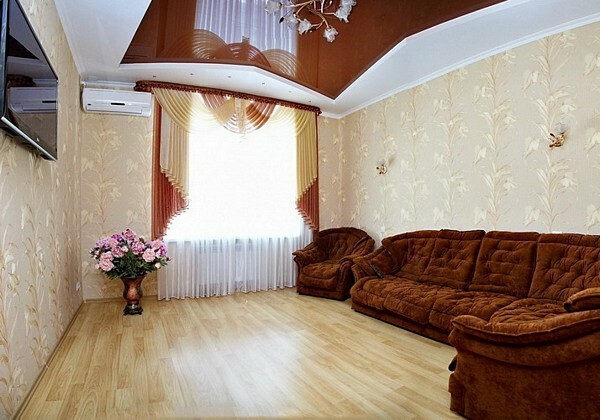 A recently renovated apartment located in the beautiful park area in the center of Lugansk city. The apartment includes: Wi-Fi INTERNET, Living room with fold-out sofa, armchair, plasma tv, air conditioner, bedroom with king-size bed, wardrobe closet, kitchen with with plasma tv, king-size sofa, king-size table, microwave oven, gas stove, refrigerator, electric kettle, coffee maker, bathroom includes bath, washing machine, hairdryer, iron. This apartment has many conviences: king-size balcony, sound proof windows, park view from all windows, parquet floor, safety door with secure locks.